For the ease of turning with wide implements on headlands, Grange Machinery have a new way of making headland management that bit easier. The Grange Machinery beam lifts out of work, then automatically folds the wings in sequence, all from one hydraulic service. Low disturbance is the proven way to defeat every farmers’ enemy – blackgrass. This subsoiling equipment has the versatility to enhance existing machines with a deeper working element for cultivators and drills. 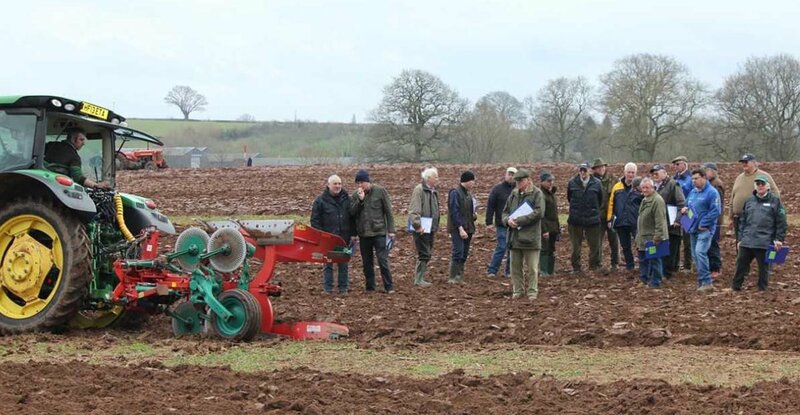 Farmers can use the toolbar in conjunction with a trailed machine or as a standalone agricultural implement as a primary cultivator or to loosen headlands or tramlines. “Getting on top of black-grass has driven our decision to launch our low-disturbance toolbar” stated Richard Beadle, farmer of 500 acres in Yorkshire and co-director of Grange Machinery. located on a beam that is hydraulically powered into work independent of the carrying frame. healthier margins and increased profit for your business,” said Rhun Jones, director of Grange Machinery. Working depth can be adjusted hydraulically on the move and the legs are tripped with either shearbolt or auto-reset protection. Hydraulic power is supplied to the back of the toolbar and there’s a choice of rear hitches and linkage options. Max. Soil Restructuring, Min. Surface Disturbance Want to find out more about how our machines can help control blackgrass, lower costs and add more flexibility in establishment processes? Talk to Rhun Jones on Stand 10 at Tillage-Live 2017.